It's officially the holidays and I wanted to share with you guys tips to stay healthy this holiday season. 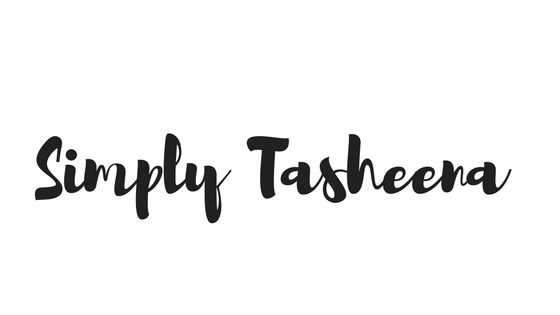 If you're following my blog for a while you know that I typically catch a cold in November and also at the beginning of the new year. I wanted to share what I've been using. But ways to stay mentally and physically healthy. Let's face it. As a busy mom, a lot of times we feel drained after the holiday season. 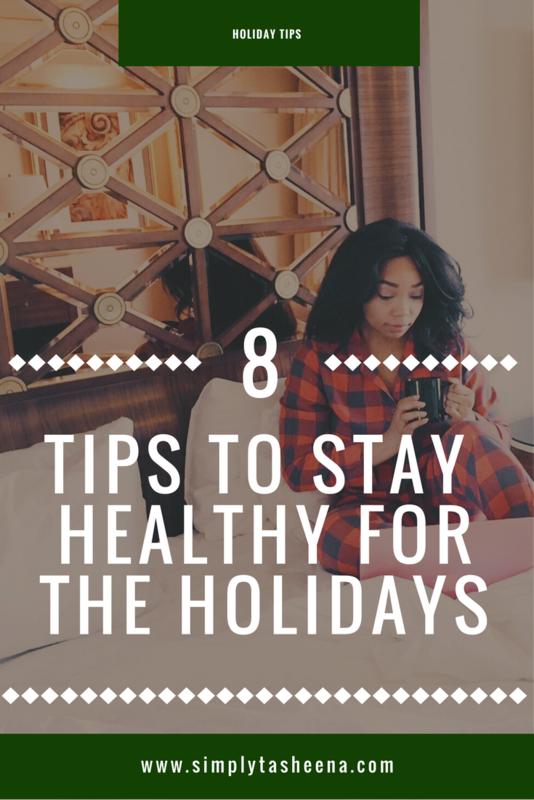 Below I'm sharing 8 Tips To Stay Healthy for the Holidays. I never really knew the importance of bundling up until I got older. I remember my great-grandmother used to always tell me to cover my neck. I didn't get it when I was younger. However, as an adult, I always try at the very least to keep my neck covered. I know that may sound like common sense. However, it's very important to stay bundled up during the holidays to stay healthy. I always try to carry an extra set of hats/gloves in my car just in case with hand warmers. It's so easy to just run out of the house and forget the essentials. I know the losing weight or not gaining weight is a huge concern during the holidays. However, your daily meals play a major role in boosting your immune system eating rich immune-boosting foods that are high in Vitamin D assists with boosting your immune system. I always carry healthy snacks with me to avoid fatigue. You shouldn't skip any meals. Try to plan out your day and even include meals. If you know that you're going to be running around. 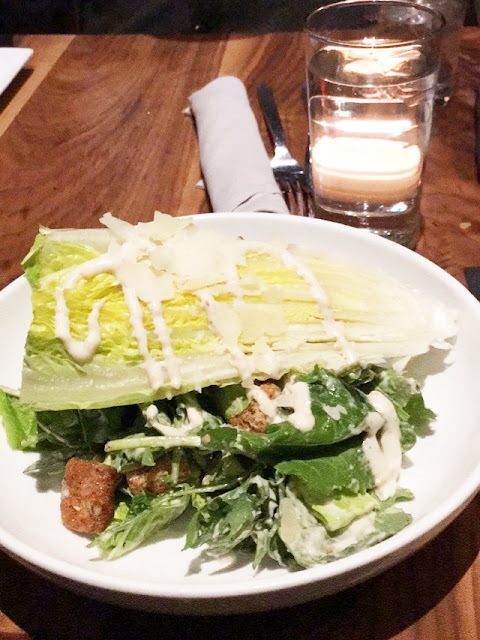 What restaurants are around and what can you bring along with you in the event that the lines are too long. Water plays a major role in staying healthy. Trust me, I get it. I was one of those people who hated water. Let's not even talk about plan water. I realized that what worked for me was drinking bottled water, I know that may sound weird. 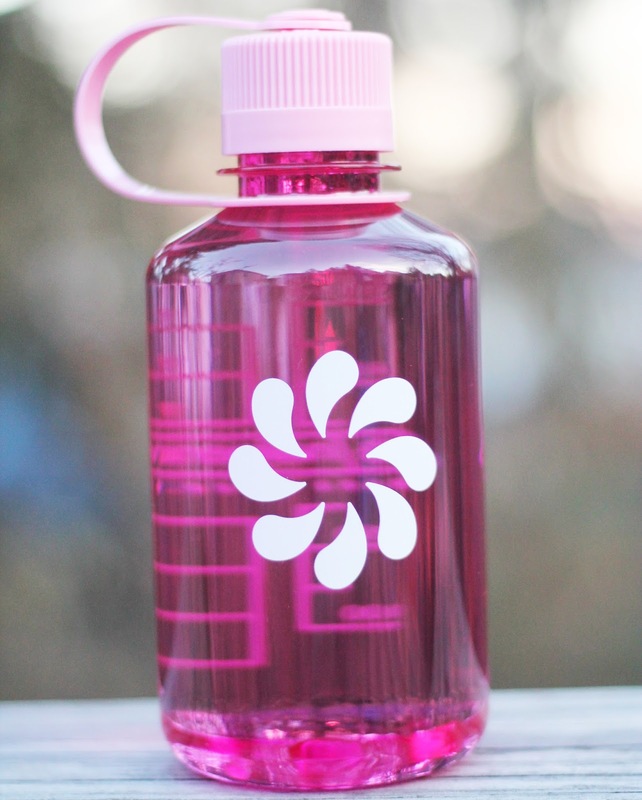 However, once I started to incorporate water into my daily lifestyle I moved on to just filling my water bottle. I would set goals for myself each day and then I also started buying cute water bottles to inspire me. I'm not one of those people who loved lemon in their water at first. However, now I love it. Revisit the idea if you're not into adding lemon to your water. It has some amazing benefits as well. Before I started my weight loss Journey I really struggled with staying active during the colder months. However, now I created a routine that works for me. My daily goal is still 10k steps. However, since it gets pretty cold in my state in the winter time. I have a goal of how many steps that I want to complete by noon. Maybe staying active for you is taking a fitness class or walking around the office on your lunch break. You don't have to be extreme about it. You could even park your car further away when shopping. I know, I get it. As a Mom, I know you're like really avoid stress? However, sometimes we take on more than we can handle. Learn how to say NO. A lot of times when we overextend ourselves it starts to bring a lot of stress on in our life. You volunteered to take make your famous cookies for your child's school bake sale, you volunteered to assist with the holiday play. You're hosting Christmas and New Years dinner etc. Learn how to say no and also learn how to ask for help. I know it's not easy because we just want to be able to do everything. One of the ways that you can avoid stress and not take on the responsibilities, to begin with, and learn how to ask for help when needed. Eating before events ensure that you won't end up in a food coma. However, it also comes in handy when you attend an event and you're staving and end up not wanting what's on the menu. Been there, done that! Eat prior to an event to ensure that you're getting your daily nutrients. So in all actuality, you're ensuring that you're eating properly and can enjoy yourself at the event. Let's face it, we've all walked into an event hungry and throughout the event filled our plates and ate every bit of what's on there. Let's avoid this by eating prior to the event. Getting the adequate amount of sleep is very important. We all have busy schedules during the holiday season. However, we're no good to anyone if we don't get the appropriate amount of sleep. When you don't get enough sleep your body releases more of a stress hormone. It also will start to affect the elasticity in your skin and no one wants to look older than they already are. 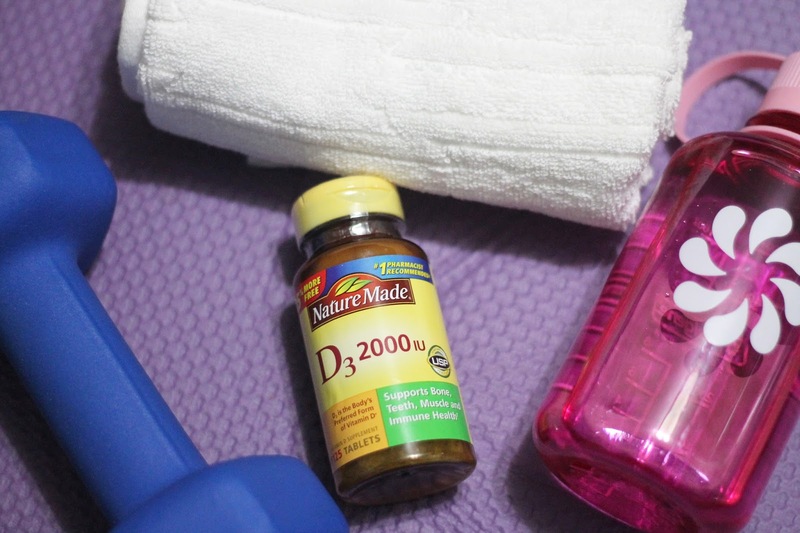 Create a bedtime routine to ensure that you're getting the adequate amount of sleep. Living in New England our days are shorter which means that we are not getting the adequate sunlight. Let's not talk about those gloomy days that we don't get any sunlight at all and outside looks as if it's going to snow. Low exposure increases the need for vitamin D. When you take vitamin D from Nature Made, you can rest assured that you’re getting quality vitamins from the #1 Pharmacist Recommended Vitamin and Supplement Brand - based on a survey of pharmacists who recommend branded vitamins and supplements. You can purchase your NatureMade Vitman D3 tables at your local Walmart or here . Really great tips! I will try to do all on your list (but sleep is hard to get in this household!) and hopefully I will survive this long and dark winter! I really have to get better about taking my vitamins. I each TONS of veggies daily. But I should really see if I'm missing something vital. I struggle with sleep and staying warm so this is just the much needed reminded that I needed. We have to take care of ourselves and for sure, it's the season to get sick!!! Perfect tips to stay energetic for the holidays. Keeping self hydrated and active is what I feel is must, along wth a goof tight sleep to keep one rejuvenated. My plan is to get as much sun as I can get during these winter months and eat a lot of fresh fruit. I don't really need supplements cause I try to eat fresh everyday. I need to keep these tips in mind. I do NOT want to get sick. I have been drinking water at least. I need to try out these vitamins. I am obsessed with supplements!!! Both my daughter and I take a daily vitamin each day! Yeah staying hydrated and have proper sleep are a must. Yeah for some sleeping because a luxury but we must have and enjoy it. Life is too short. these are great tips for sure! Holidays is surely the time when everyone falls off the bandwagon, especially me haha. Omg I love Nature Made. My whole family takes their vitamins. It's so important to take the right vitamins because food doesn't always provide all the nutrition. Not skipping meals is very important! Great Ideas. Hydrating. Staying active. Low stress levels. Will keep you happy & healthy. Bundle up and stay stylish! I agree with all these. Its so important to stay hydrated. Don't skip meals - that's a hard one! I'm always missing meals this time of year and then grabbing a cookie. Great tip on eating before events. I will pass out by the time they serve food. Thanks so much for the tips. My family and I make sure we take our daily supplements. It's essential! Avoiding stress really helps me to stay healthy. It can be difficult, but it's definitely important. Great tips so very helpful to get through this holiday season and all year round. 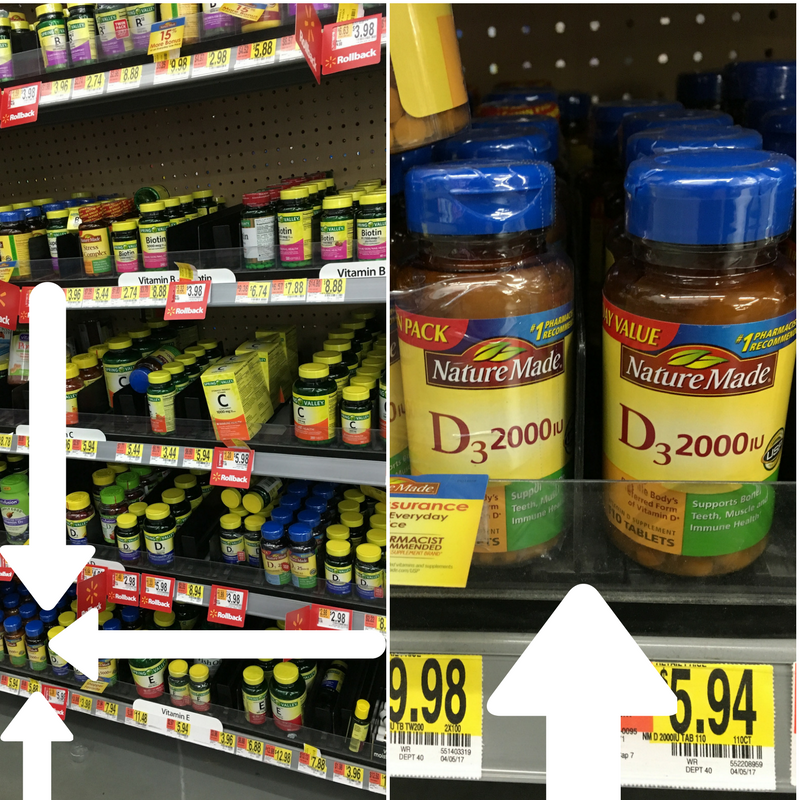 I'll be on my way to Walmart to stock up on Naturemade Vitamin D. Thank you for sharing. All good tips, I would add that I recently discovered wrist warmers and they are great for helping ones wrists/hand stay warm. i need to avoid stress by going to this amazing spa. Great article! Things we definitely do especially in the winter! Great tips! I sometimes have to remember to stay hydrated with water, or to eat all 3 meals. Holidays can be a stressful time, but only if you let them. Thanks for the great tips! I use Vitamin D3 capsules 2000IU. Doctor recommended taking at bed time. Thanks for the tips on staying healthy! Staying hydrated is so important for your health. I love these tips! They're things you don't necessarily think about! I need to write these all down! I can't disagree with any of them. They are excellent. Wonderful tips! Wouldn't have thought of several of these!! These are some wonderful tips. I love being active and fit. I try to remember to do all of these. I think avoiding stress is the most challenging for me! Great tips. I am doing most of them already but still need to bundle up better than I have been. I hate drinking water as well but I'm so dehydrated with this Winter season that I'm chugging it lol. Agreed! Great reminders to take of one self, particularly during the stressful holidays. fab advice. I love these reminders and especially get more sleep. It affects everything I do during the day when I'm without enough sleep! Avoiding stress is key for me or I get sick around the holidays! Great tips! I need to remember not to skip meals! I should start adding lemon to my water. Great tips! I am working on staying hydrated and reducing my stress level. These are some great tips! Thanks for the tips. I've been thinking of getting a water bottle with time reminders to help keep hydrated. I have a fitbit and I try to get 10k steps daily. I really like your tip about setting a goal count by noon. Great tips!! 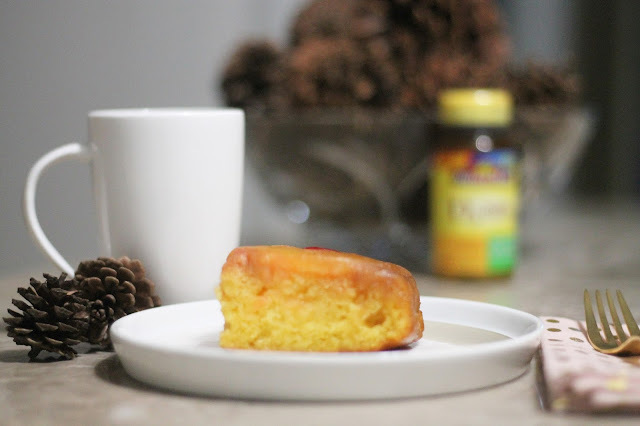 I know as a mother of 3, it's hard to eat right and get regular sleep so when life gets a little hectic, I know I can at least do something good for my body by taking my Vitamins. I've been working on my sleep! Goo tips. I try to do most of them already but it is good to be reminded. Thank you so much for this right now! Great reminders! I could not agree more!! Great tips!! Great tips that can be used year round. Great tips! I always try to stay hydrated and take my vitamins! Great tips you have mentioned here. I know the importance of taking my vitamins. 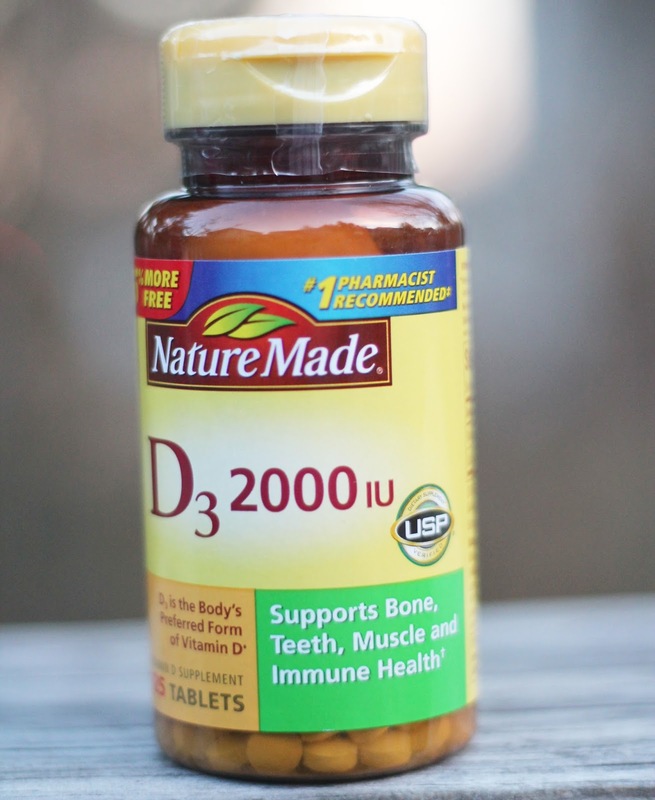 Vitamin D is great for the immune system. Greaat tips thanks for sharing! So important to take your vitamins especially this time of year! * very important tips!! I have to try to remember some of these, I get busy & forget to take care of me sometimes!! Great tips, to the point and no waisted time getting to the heart of it. Skipping Meals is my biggest issue. All great tips! It's important to keep healthy habits during the holidays when we often tend to add stress. I appreciate the tips, a lot of these I usually forget! Great advice! Even though I live in a sunny state I am still low on vitamin D, so I have to supplement. Great tips. I especially find that getting more sleep helps tremendously. Thanks for the great tips. My biggest issue is getting enough sleep so I have to work on that! Thank you for all these tips to keep healthy and happy. So Glad I'm here at the party. I love the tip to not skip meals! Thanks for the great tips!! Fabulous tips for surviving this holiday season! Thanks so much! Happy Holidays! Great tips, trying really hard to not be as stressed and get more sleep. Staying hydrated is super important!!! All the tips are great/wise. Especially, staying hydrated. We hustle and bustle so much during the holiday season, and neglect important daily aspects like stying hydrated, due to being so busy/distracted. I love this advice! I will be bringing snacks, water and extra vitamins in my bag daily! Great tips! I love taking my vitamins,exercising and keeping hydrated. I take Vitamin D3 year round, but really need it in the gloomy, cold winters of Wisconsin ! Thanks for sharing your 8 tips, I have been diligently following all your tips daily. Thanks for the tips! This time of year it's hard to stay healthy if we aren't careful. I am thankfully already doing most of these. Except maybe for the not skipping meals part. Thanks for the tips! I don't skip meals and I do get some rest. But I sure could stand to stay hydrated and take vitamins! And get a little exercise! 100% agree with your list! I eat several small meals through the day due to having a super high metabolism, take walks, daily vitamins, and stay hydrated :-) Sleep IS what I lack though! Thanks for the great tips! No one wants to be sick over the holidays! Awesome tips. Thanks for sharing! They are all very great ideas! for our health. Thank you for the reminder as sometimes we all need them. Information is very informative also you get same from this web page, this is the great resource to get such type of information.